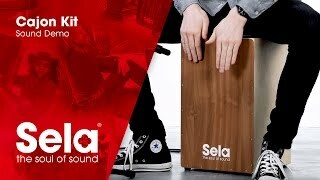 With the Snare Cajon Kit from Sela you can build a professional, well looking Cajon with a great sound in very short time while having a lot of fun. 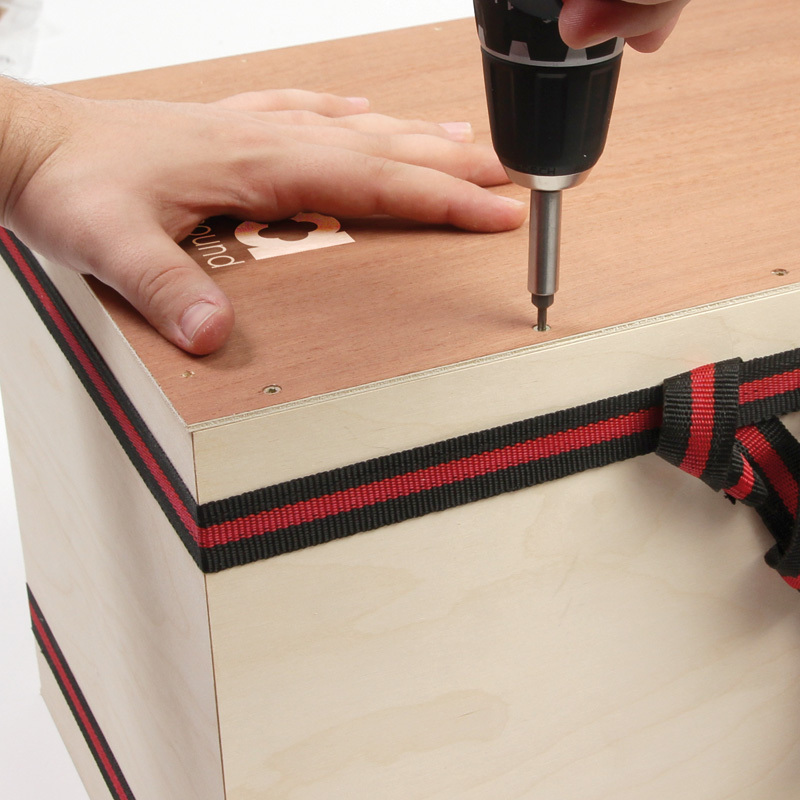 All tools and expendable materials are included (except a cordless drill/driver)! 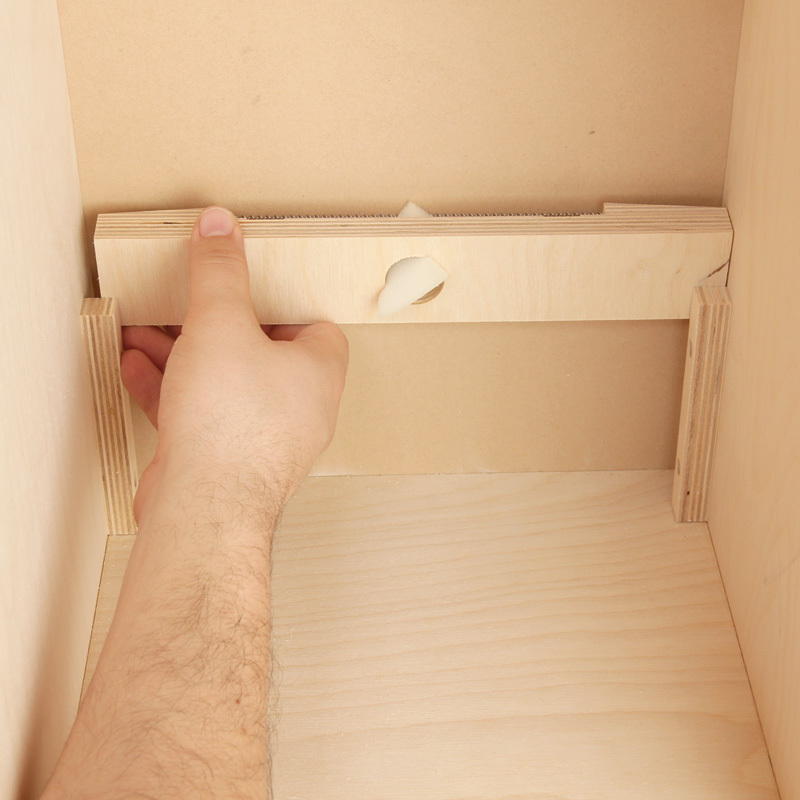 You don't necessarily have to be technically talented, because the precisely prefabricated components will guarantee a quick and easy assembly. Each step is well documented in the included manual. 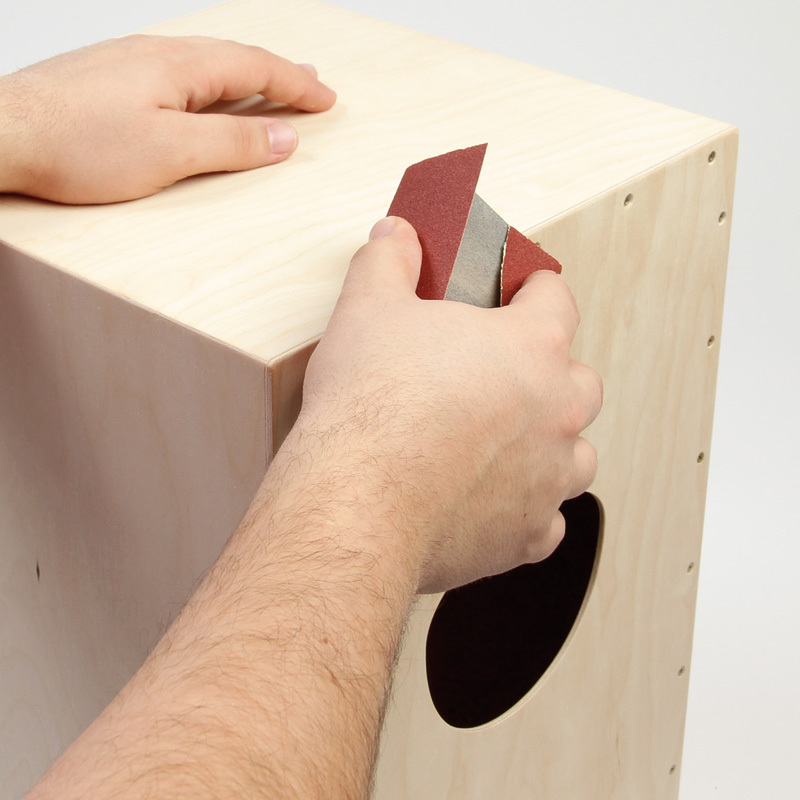 After about three hours your Cajon will be ready to be played on. 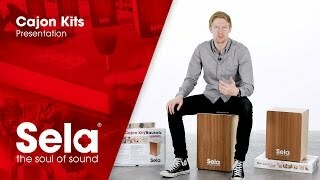 Even if you have never built a Cajon before you will have a professional instrument that sounds amazing with its deep bass and crisp snare sound. 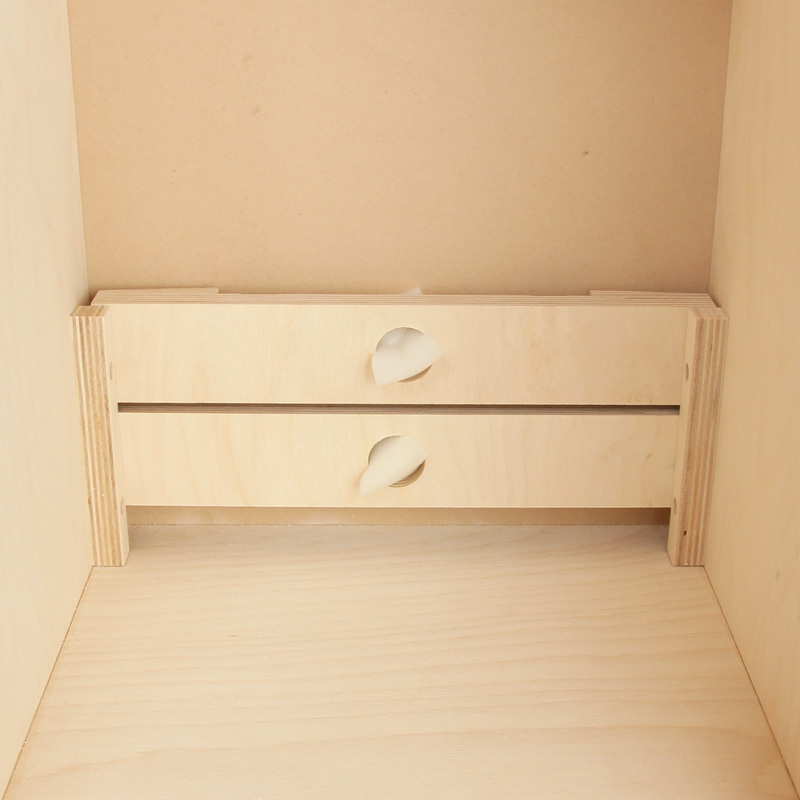 The individually adjustable clap corners offer additional sound options. 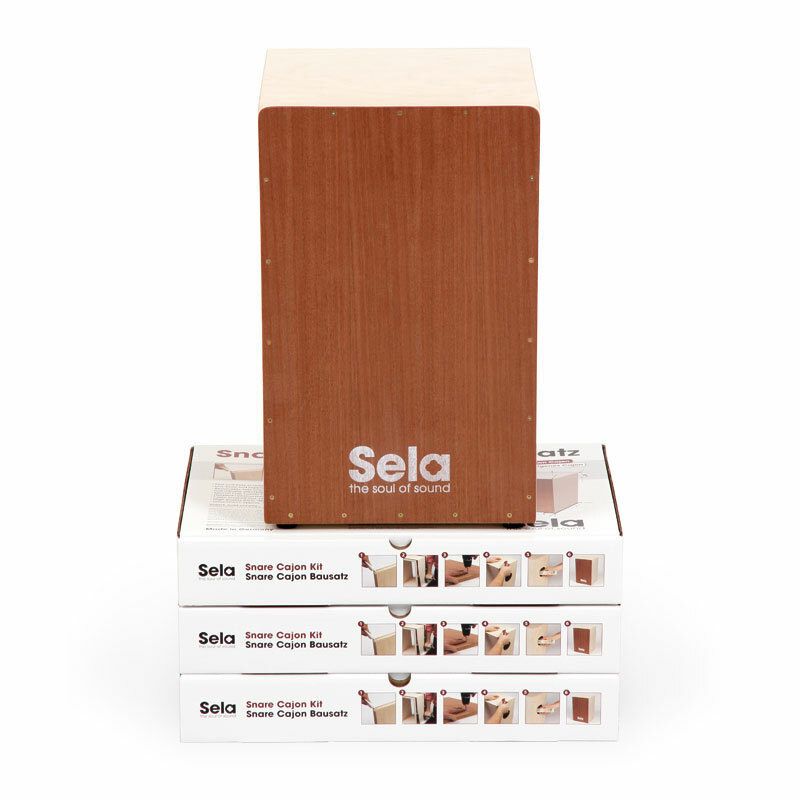 With the removable Sela Snare System you have two instruments in one: a modern, professional cajon with an authentic snare sound and a traditional Peruvian cajon without a snare. 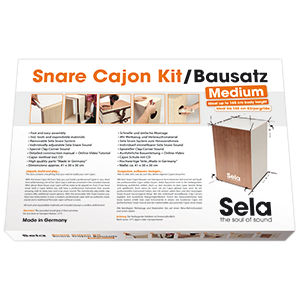 The used components of the Sela Snare Cajon Kit can be normally found only on much more expensive Cajons. This quality will guarantee great playing pleasure. 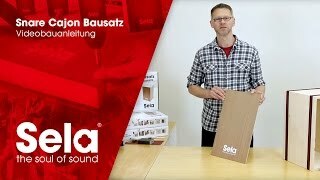 The playing surface is not an usual board but high-quality wood-veneered, finished in "Thin-Splash-Method", a special innovated technology of Sela. This provides a powerful but also a nuanced sound. 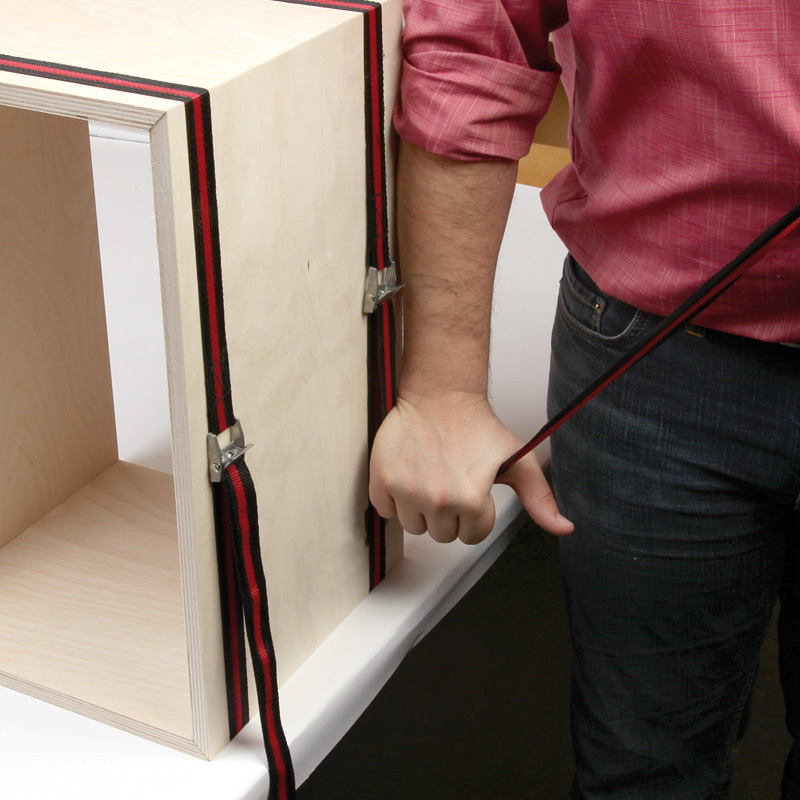 The snare sound with its sensitive response and the massive bass are separated cleanly. 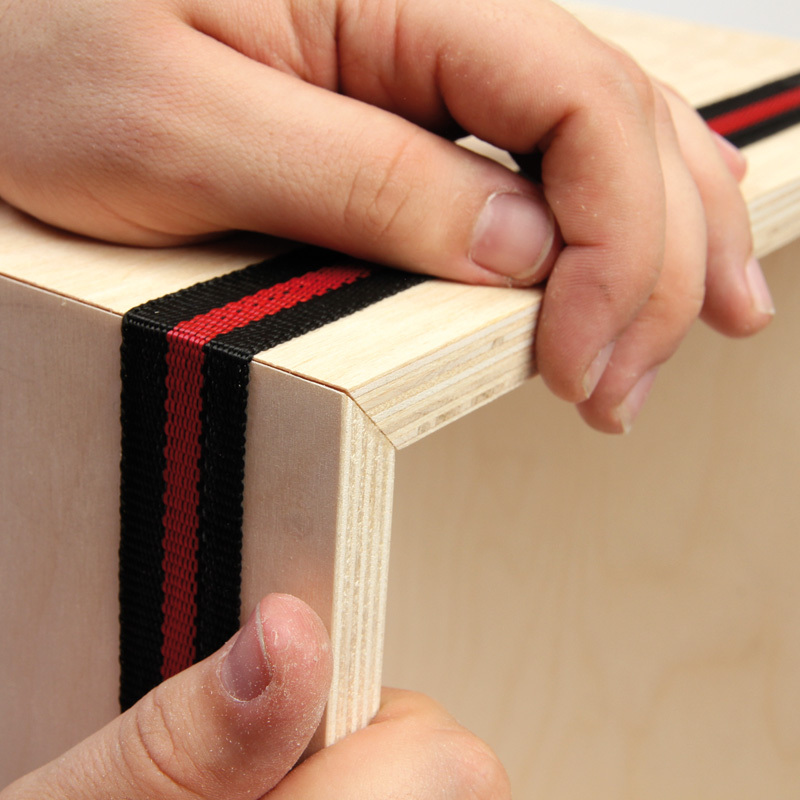 The playing area is stable, but thin enough in order to develop the full musical potential. 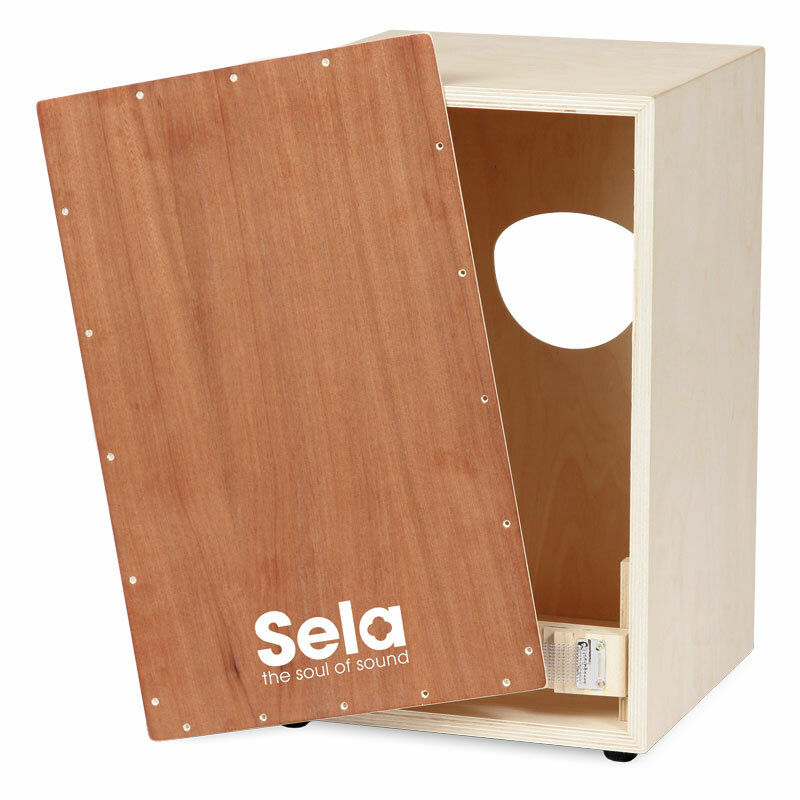 Unlike other kits the Sela Snare Cajon has a rich snare, which can be adjusted according to your own taste. 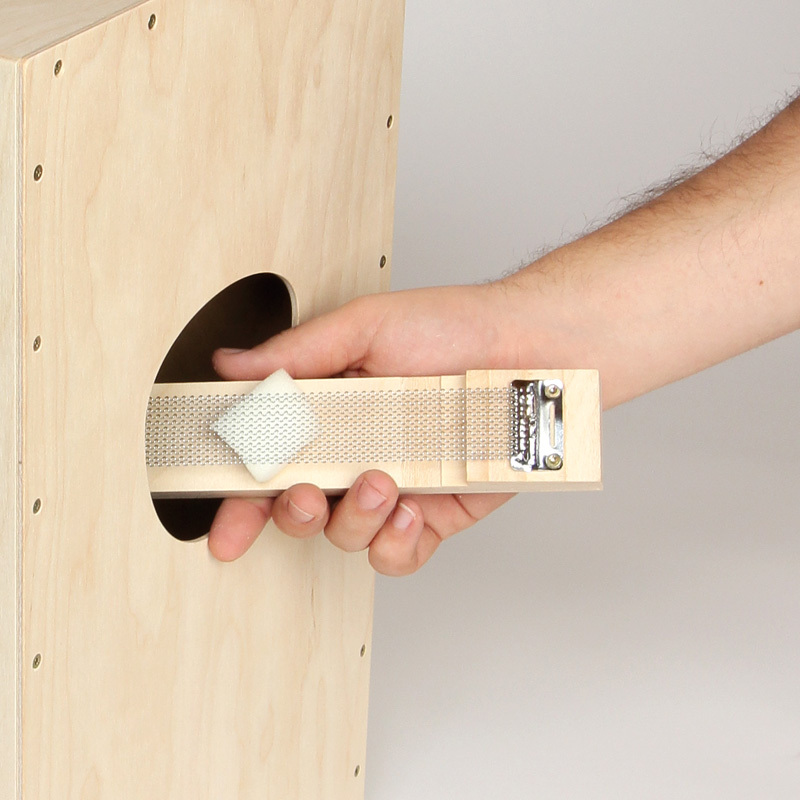 Additional sound options include the "Clap Corners", which can also be adjusted. 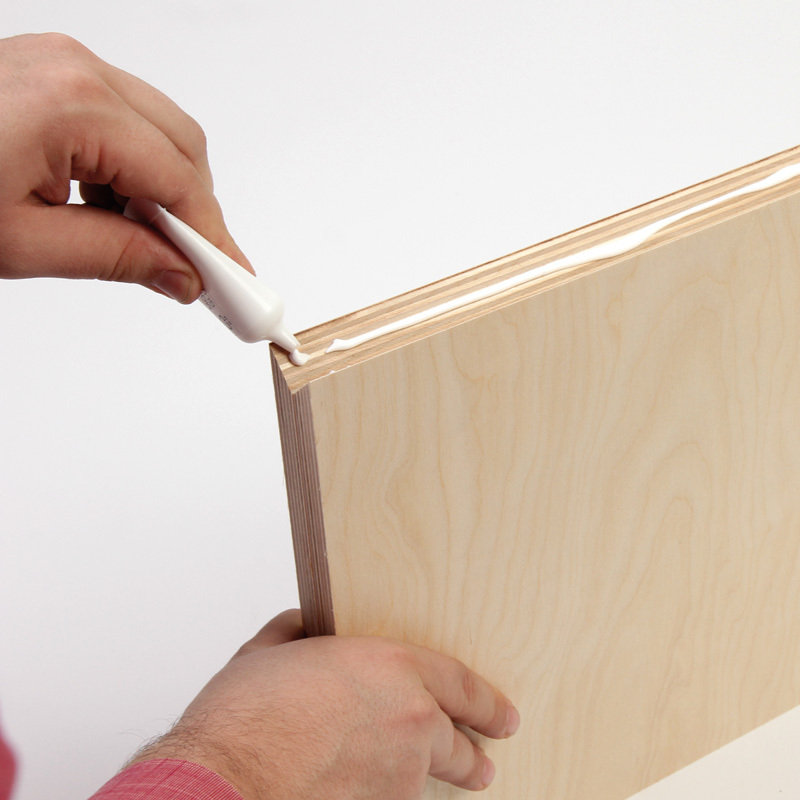 The best thing is: All tools and expendable materials are included, so you can immediately start constructioning. Additional costs and time spending, which would be necessary for the provision of additional tools and consumables is eliminated. 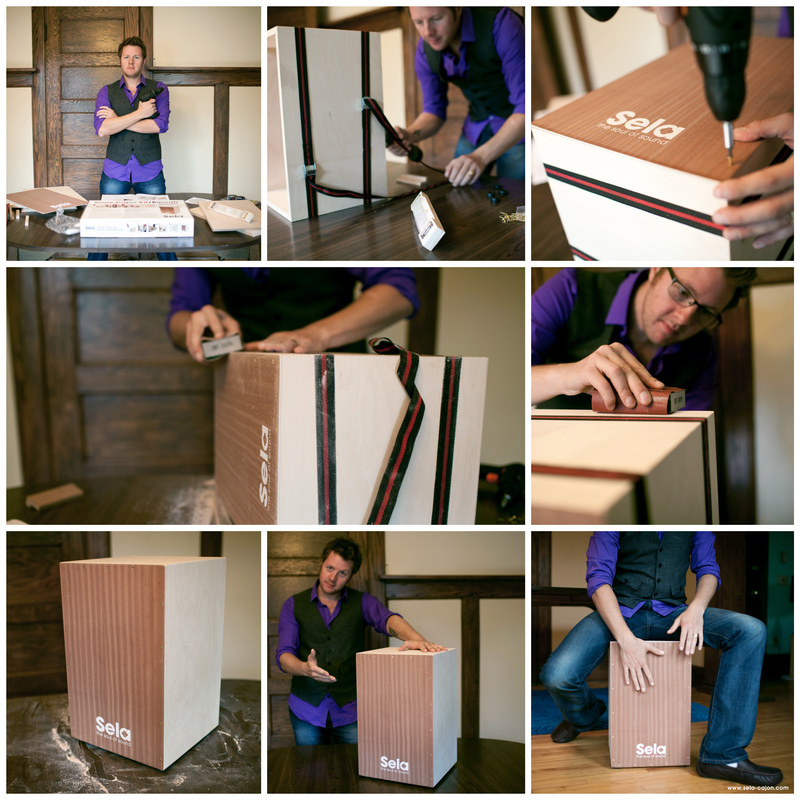 With the Sela Snare Cajon Kit you already have everything in top quality. 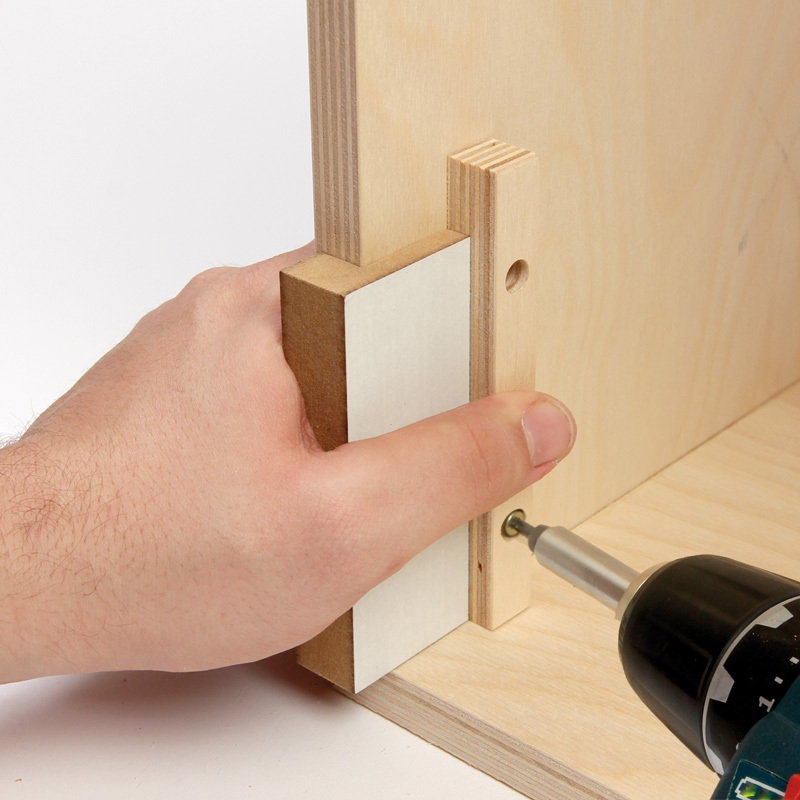 Only a cordless drill for the use of the included screwdriver bit is required. The enclosed Method in conjunction with the accompanying CD offers you the ideal start. On the CD you can find audio samples and backing tracks to play along to and practice. 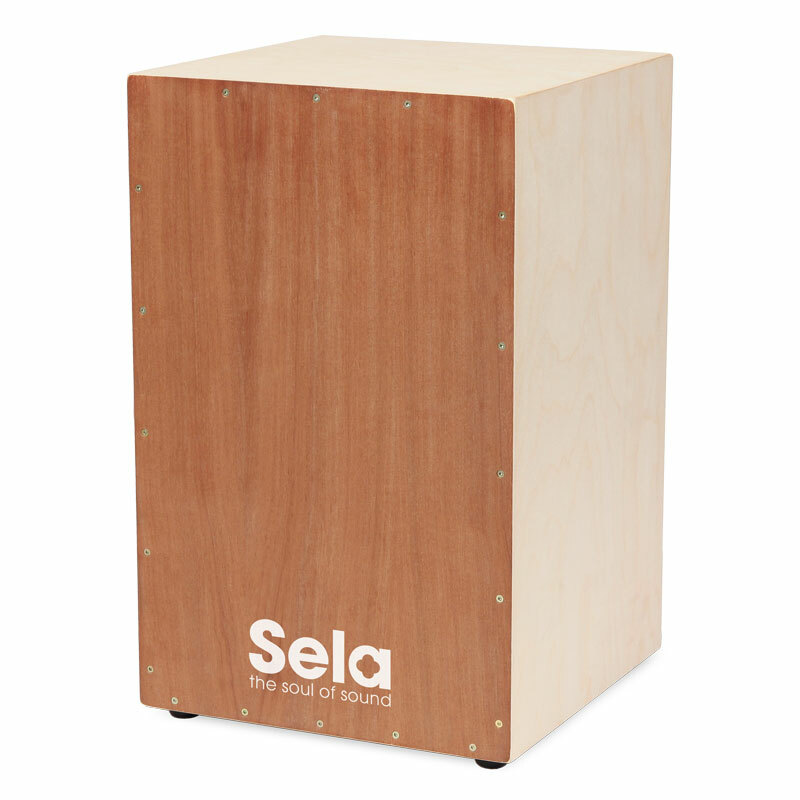 Because of the Sela Snare Cajon convincing with optics and sound, playing the cajon is great fun from the beginning! High-quality playing surface with wood veneer, in "Thin-Splash-Method"